Havana, Trinidad, Cienfuegos, Vinales, and more! 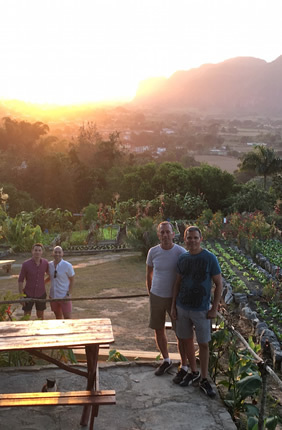 From colonial architecture to Cuban cigars, this gay group trip gets up close and personal with the Caribbean island’s distinct Latin culture. It also happens to coincide with New Year’s Eve, so pack your fun pants and prepare to celebrate. Throw in some friendly locals, a few old cars, and even a splash of salsa, and 2020 is off to a stellar start! 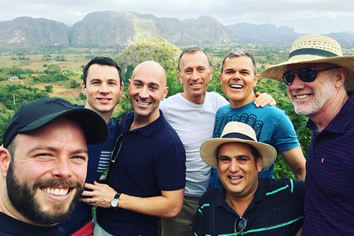 Ring in 2020 on this Gay People-to-People Tour to gay friendly Cuba! Wander past Havana's glittering colonial architecture, breathe in Soroa's clear mountain air, relax on Playa Ancon's vast white beaches and soak up Trinidad's unrivalled ambience. From old cars to fragrant cigars and with plenty of salsa in between, this trip is the perfect introduction to all things Cuban. AMERICAN TRAVEL TO CUBA: This tour qualifies also as a People to People tour based on a full-time itinerary featuring people to people exchanges and cultural activities that better the Cuban people. Ask for details. Our adventure begins about 6PM with a group meeting. Get familiar with fellow travellers and our fabulous guide, then join us for an included Welcome Dinner, cocktails, and perhaps a visit to a local gay bar. After breakfast we’ll enjoy an Afro-Cuban tour of the iconic, graffiti-ridden Hamel Alley with a passionate expert on the gems therein. We’ll then uncover a queer side of Havana, beginning with a visit to the home of Ernest Hemingway (our outstanding guide will detail the writer’s family history, which includes a trans relative). The afternoon is free to explore on your own, and we’ll reconvene for dinner this evening (included), followed by free drinks at a local gay bar. After breakfast today, a walking tour of Old Havana awaits, where many significant buildings have been restored, and are reliving their glory days. We’ll stop at an art and clothing store run by a local artist, followed by an optional lunch. We’ve left the afternoon free to either explore the city on your own, or to rest up at the homestay for New Year’s Eve, which kicks off with a festive dinner. Tonight’s countdown to 2020 will be at one of the local gay bars. After a big night out, we’ve planned a leisurely afternoon at Mi Cayito, a gay beach in the burbs. We’ll grab lunch (optional) en route, then leave you to soak up the sun and meet some locals. Tonight’s dinner is optional, and we’d recommend getting to bed early as we have an early morning tomorrow. After breakfast, our Cuban adventure continues in the Spanish Colonial settlement of Trinidad. With a rambling drive of seven hours ahead of us, make yourself comfortable and enjoy the ride. We’ll stop in Santa Clara en route to stretch our legs, and visit the Che Guevara Mausoleum & Museum while there. Once in Trinidad, we’ll check in to our homestays, then gather for an included dinner. Home to many churches and colonial buildings, our day in Trinidad begins with a cultural tour of the town. We’ll visit museums, including the Afro Cuban temple to Yemaya. In the afternoon we’ll visit the local headquarters of a private dance company, and learn about this prominent form of Cuban culture. A salsa class is included, revving up appetites for another included dinner! Today we move on to Cienfuegos on the Caribbean coast. Founded by the French, then heavily developed by Americans, “the Pearl of the South” will impress you with its elegance, architecture and style. After we explore the city, we’ll visit a local art cooperative and chat with the artists before savouring sunset from the stunning Palacio del Valle. Our day wraps up with another included dinner. This morning we hit the road for another lengthy drive to Viñales (about 8 hours). This includes a stop at Bay of Pigs, where CIA-sponsored Brigade 2506 failed to overthrow Fidel Castro’s government in 1961. The museum here offers a solidly Cuban perspective on the events that unfolded, so it’s worth checking out. Once in Viñales, we'll learn to cook like a Cuban through a lesson with a local chef, then feast upon our creations. 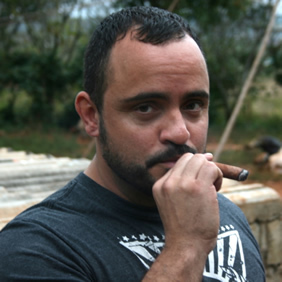 This morning we’ll learn about the Cuban cigar industry from a farmer and expert cigar maker. Peek into how the communist system works, and how people make ends meet. Learn the process, from planting tobacco, to rolling each cigar. Dinner tonight is at a stunning organic farm, followed by cocktails al fresco at a nearby bar. After checking out of our homestays, it’s back to Havana, with a stop in Jaimanitas. This town was made famous by artist Jose Fuster. His home – Fusterlandia – is definitely a highlight, a living art project entirely covered in eclectic mosaics. Back in Havana, we’ll check in to our homestay, then savour our bittersweet Farewell Dinner in a renovated former factory. 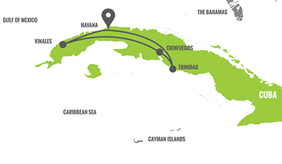 On this trip, we'll share with you the Cuba we love, but also want to manage your expectations. The level of service may not be what you're used to, choice of food may be limited, the roads aren't great, and poverty is wide-spread. Keep an open mind, and realize things may go wrong. That said, what makes Cuba amazing is this rapidly-changing island has been cut off from Western civilization for decades and is just coming into its own. LGBT Cubans were not able to choose where they lived until recently, so there was never a gay ghetto. Now that people are permitted to live where they wish, the gay scene in larger cities is blossoming. Not surprisingly, the most vibrant gay nightlife is in Havana. December through March are the coolest months of the year in Cuba. The average daily maximum temperature is 25C/77F, dropping to about 18C/65F at night. During these months, occasional cold fronts may come through from North America, which can mean a few cool nights (around 5C/40F), and possibly rain. Based on the entry requirements for Cuba, there are no vaccinations needed for entry. To determine if you should take preventative measures to reduce the risk of illness, you should consult your doctor or a travel medical clinic, as OUT Adventures cannot provide vaccination recommendations. You will need an international travel plug/adapter for type A/B/C/L sockets. It can be tough to stay connected with the outside world, as Wi-Fi is rarely available. When it is, you may not be able to access email or social media. Rather than fighting it or getting frustrated, why not disconnect your electronics and connect with this amazing culture and place? You can always post your photos later. 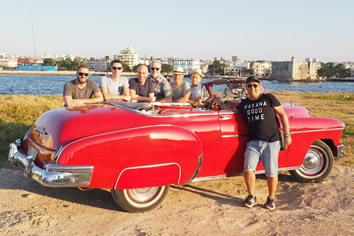 This tour qualifies as a People to People tour based on a full-time itinerary featuring people to people exchanges and cultural activities that better the Cuban people. OUT Adventures works and plans the logistics of this tour through a US-based agency that is subject to the jurisdiction of the United States. Your central Homestay/B&B info will be provided in your pre-trip documents approximately 14 days prior to departure. 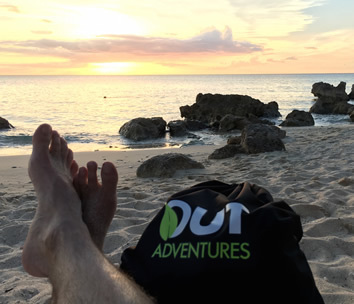 For everybody's peace of mind, all OUT Adventures include comprehensive travel insurance. 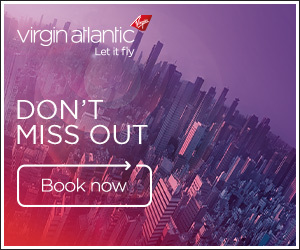 That's up to $200 you won't have to fret about adding to your budget, unless you want to insure the value of your trip for cancellation. The local currency is the Cuban Convertible Peso. We usually recommend carrying local currency for small purchases, however credit cards are accepted at most upscale restaurants, and at hotels. We also recommend carrying approximately $400 USD to be used only in the case of an emergency, or if your credit/ATM cards are placed on hold (please note: American credit/ATM cards will not work in Cuba). Most OUT Adventures entail carrying your own luggage on occasion. And while you'll never schlep far, things can quickly get heavier than a celebrity breakup if you don't keep your baggage under 20kg/44lb. You should also bring something smaller for day trips to carry water, your camera, and any souvenirs you pick up along the way. Remaining balance collected min. 90 days prior to departure.